Emergency Dentists USA is your premier provider for a list of 24-hour emergency dentists in Richmond. We know that it can be difficult to take time to search for a dental provider while dealing with dental pain. The longer you wait to receive the care you need, the worse the pain will get and the problem may spread to other nearby teeth and infect them as well. Dental pain will quickly reduce the quality of your life and that is not something that should be settled upon. Before you start to learn to live with the pain you feel, you should take a moment to look through the list of emergency dentists in Richmond below. I’m glad I found this website and was able to find a dentist that was close to me a few weeks back when I chipped a tooth and needed it fixed fast! 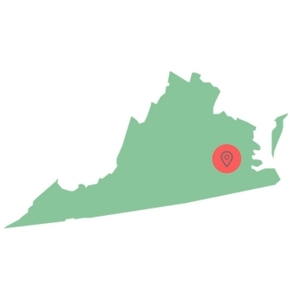 There are several emergency dental options available to you in Richmond, VA, which means that you can receive the care you need to alleviate the pain you feel. Fortunately, there are after-hours options and many of these offices are open until 7:00 pm such as RVA Dental Care. Rusnak Family Dentistry is a great choice as well, as they are open earlier in the morning for those needing an appointment before work. There are no 24-hour clinics in Richmond, however, Modern Dentistry PC is an excellent choice if you are experiencing a dental emergency on the weekend as they are open Saturday and Sunday. We know how frustrating it can be to not get the answers and information you need, especially while in pain, so we have taken the time to locate some of the emergency dentists in Richmond. All you need to do is take a couple of minutes and browse the options below to identify an office near you. Once you are happy with your choice, simply give the dental provider a call to schedule an appointment to receive care. Description: Your visit to Richmond should be enjoyed by touring historic cemetaries and battlefields, not doubled over in pain! If you think that you may have an infection or worse, don’t hesitate to pick up the phone and call our 24-7 hotline right away. Description: The folks at Modern Dentistry are great at offering their services to the customers in this beautiful city that is known for a rich artistic and culinary heritage. They are open on Saturdays and Sundays from 9:30 AM until 5 PM. Whether you have been encountering severe pain for days, or just need a random check-up, the staff here can get you in quickly and make sure that you face the next day with less dental pain then before. Description: RVA Dental Care is a clinic that has the best in what any patient could ask for as far as care. If you happen to have dental anxiety, don’t worry: many of the staff members here have dealt with dental anxiety frequently, and know that not every patient is comfortable upon coming in. This clinic is open until 7 PM on Mondays, Tuesdays, and Wednesdays, and is a great choice for any new patient or family member that needs to find dental care on the double. Description: The staff here at Brown Reynolds Snow are all professionals when it comes to helping with urgent needs such as root canal therapy, aching teeth, or just routine diagnosis and checkups. Make sure you schedule an appointment here if you are dealing with pain for you or anyone in your family, and the staff here will be able to take care of you in first-class fashion. Description: The staff at Rusnak Family Dentistry are all on deck until 6 PM during the week to make sure that your dental needs are met, and that you are living a pain-free existence. Issues such as broken crowns and injury to the jaw can sneak up on you quickly, and cause you much stress and interruption to your plans. Having a great clinic in your address book will make you not as afraid when any sudden dental emergencies rise up and take control of your life. When you call into the office to make your appointment, be sure to let the receptionist know if you have insurance or not. This way, they can provide you with the correct pricing information. You should then ask for a generalized quote, so you know how much money you may need to pay for your appointment. It is important to have this information because almost all dental providers, emergency or not, will require payment from you the same day the procedure is performed. If you have never been into the office before, you will need to arrive about 10 to 15 minutes before your appointment to fill out paperwork. The paperwork will ask you questions about your past medical and dental history. The information is used by the dentist to provide you with the best care possible. If you have been into the office before, you will not have to fill out new paperwork, but you will need to make sure you update the information the office has on file for you. If you have any allergies or you suffer from dental anxiety, you should let the staff and dentist know, so they can properly treat you and provide you with any options available. Are you in pain? Do you want that pain to go away? If so, it may be time for you to visit a local Richmond emergency dentist. There are several dental emergencies that can arise and each one can cause you to be in a lot of pain depending on how severe or progressed the condition is. Every dental emergency needs to be evaluated by a trained and licensed dental professional. If you need to have a procedure performed, it is best to do it right away and not wait, as the problem may get worse over time. A lost crown can happen at any time and usually does because it is worn down, old, or has been pulled off by food or an injury. If this occurs, you should recover the crown. The next thing you need to do is rinse your mouth out with warm water. If the tooth is painful, you should apply clove oil to it to alleviate some of the discomfort. If you could recover the crown, you should apply a dental cement to the inside of it and apply it back over the top of your tooth. Call an emergency dentist in Richmond right away to have the crown replaced. 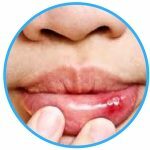 A soft tissue injury is normally any type of injury that occurs to the tongue, gums, lips, or cheeks and is usually associated with a laceration of some sorts. The trick with these types of injuries is to control the bleeding, so the injury can be properly assessed. The first thing you should do is rinse your mouth out with warm water and then apply a piece of moist gauze with pressure for 15 minutes. If swelling occurs, you should apply a cold compress to the exterior of the cheek where the injury occurred for 10 minutes. If the bleeding cannot be controlled or the laceration is deep, call an emergency dentist in Richmond immediately. Tooth trauma can occur when you are involved in any type of accident. If you have injured your tooth or mouth in an accident, you should rinse your mouth out with warm water and recover any pieces of broken tooth, if there are any. If bleeding is present, you should apply a piece of moist gauze to the area and apply pressure for 15 minutes. If you are in pain, you can take an over-the-counter pain reliever to alleviate some of the discomforts you are experiencing. You should call a local Richmond emergency dentist as soon as possible. Patients who need to have an emergency tooth extraction may only need a day or two to recover from the extraction. It is important that you follow all aftercare instructions provided to you by your emergency dentist and that you take all prescribed medications. The number of patients who head to the emergency room for dental pain has increased over the last decade or so. While you may think this is the perfect place to go, it is not always the correct place. This is because the ER is only able to handle medical conditions and not dental. They cannot perform dental procedures on site, but they can look over your mouth and problem tooth and prescribe pain medication if necessary. You would be better served by a local Richmond emergency dentist who would be able to see you immediately and perform the procedures you need. Emergency dentists have the proper tools and equipment on hand to alleviate you of your pain. There are times you should visit the emergency room, even if you have suffered tooth trauma. These cases include when you have hit your head, been involved in an accident, or broken your jaw. 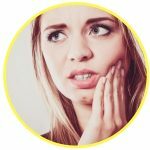 Tooth pain is not something that you want to just put on the back burner, as it will continue to get worse and cause even more pain. If you are in need of an emergency dentist, check out our listings above or give our 100% free hotline a call and let our staff find the best emergency dentist for you. We do recommend that you take some time to review the licenses and credentials of any new dentists you plan to visit. You can start by checking the local Richmond dental society or you can visit the Virginia Board of Dentistry. If you have any concerns about licensure or credentials, you should ask the dentist in question or speak directly with a representative of the Virginia Board of Dentistry. Copies of the dentist’s licenses and degrees should be posted visibly within the dental office and also through the American Dental Association website. Disclaimer: Emergency Dentists USA is a portal that is intended to provide you with information only. This information should not be used to replace the advice of a medical professional. Should you experience an emergency and you cannot get ahold of a Richmond emergency dentist, call 911 or head to the local ER.